As 3.6 million high school seniors in the United States prepare to receive their diplomas in the coming months, research tells us that nearly 70 percent of them will be enrolled in college in the fall. Of those, it is safe to say that a significant number experienced some version of existential angst over the past few months about what schools they will get into, how much aid they will receive and how much debt they will need to take on to get a degree. It has become a national rite of passage of sorts for high school seniors. That annual ritual took a salacious turn last month. Reports about college admissions fraud involving 33 parents—including highly successful people in the fields of business and entertainment—revealed the extent to which some will allegedly go to get their children admitted to elite colleges like Yale, Stanford and Georgetown. Understandably, the story has been covered widely and has inspired a good deal of social media chatter. But it would be a waste if all we took away from this is water cooler gossip about how—in real life—Aunt Becky of “Full House” (Lori Loughlin) and Lynette of “Desperate Housewives” (Felicity Huffman) are just over-indulged Hollywood stars. The truth is, this episode tells us far more about who we are and where we are heading as a culture. As the co-author of The Freshman Survival Guide, a book about students making the transition from high school to college, I have focused on approaches to college life that deal with the whole student—mind, body and spirit. 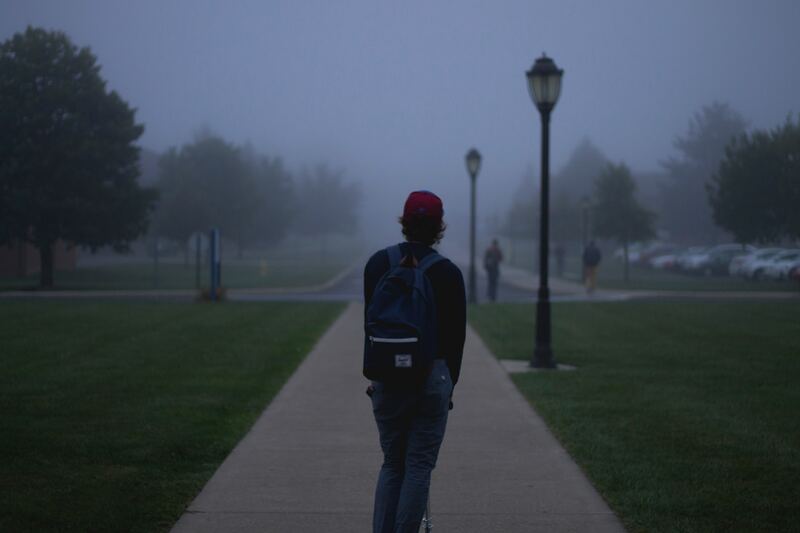 I have looked at a lot of research over the years about the increasing levels of anxiety, depression and other mental health issues among college students who are desperate to achieve. But something about this college admissions fraud felt dark and different. It seemed as if those rising levels of stress and anxiety had breached the campus walls and were now spilling over and infecting parents in strange and disturbing ways as well. The American dream of upward mobility—once an article of faith for many—has become far more selective in terms of its beneficiaries. At dinner event a few days later, a Villanova professor put this economic anxiety in stark relief, commenting that it was painful to see how tense students were about the future and how they were anxious that their college degree would not necessarily put them on the “right side” of the blue collar/white collar divide. I found it interesting that students would frame the issue in terms of their perceptions of class. It struck me that perhaps they are allergic to whatever it is that makes people—to their mind—poor because they have been raised in a culture that blames poverty on the poor themselves? Their own perceived arrival in that class would deeply complicate that narrative. Their economic fears are not unfounded given that middle-class incomes over the past 50 years have remained relatively stagnant while the top quintile of Americans have seen a staggering 95 percent income growth over the same period. According to Pew Research, nearly 60 percent of Americans believe that children today will be worse off than their parents. The actual economic data is more troubling. According to researchers at Harvard, 90 percent of children born in 1940 grew up to experience higher incomes than their parents; that proportion shrinks to 50 percent among those born in the 1980s. The American dream of upward mobility—once an article of faith for many—has become far more selective in terms of its beneficiaries. Those beneficiaries have helped create an educational consulting industry that boasted $1.9 billion in revenues in 2018 and employed nearly 40,000 people. It should come as no surprise that the admission industrial complex favors middle- and upper-class kids and that students from minority and economically challenged backgrounds are disproportionately left out in this mad dash for admissions and access. It goes without saying that parents want what is best for their children, but it is sobering—and humbling—when the ethical and moral traps inherent in that desire only become apparent after you are already ensnared in them. Ms. Kamenetz’s book DIY U lays out an alternative, more egalitarian vision of college that explores the ways innovative ideas, institutions and technologies are transforming the experience for the 80 percent of Americans who do not attend elite schools. “This [project] is about who we are as human beings and who we are in community together,” said Brennan Barnard, M.C.C.’s college admissions program manager. The project’s research was so on point that they moved up the publication of their latest report, “Turning the Tide II: How Parents and High Schools Can Cultivate Ethical Character and Reduce Distress in the College Admissions Process,” so it was released just after the college admissions scandal was made public. M.C.C. is working with college admission offices, high school educators and families on three main initiatives: reducing achievement pressure, encouraging ethical engagement and leveling the playing field of college admissions. Mr. Barnard says they have already seen concrete changes to the application process being made at schools like M.I.T. and Bowdoin College to alleviate some of the admissions stress. A number of elite schools have also adopted a more “holistic admissions” process that goes beyond empirical scores and tries to take into account the whole person and how they will contribute to campus life. Now, if we could just get American parents to agree. This article was updated to clarify that Making Caring Common cited the work of other researchers on how parents and children perceive the importance of moral formation. They did not conduct the research. My college life journey was very different from the current emphasis of obtaining a college education right after high school. I went on a vocational career path followed with a "job." Encouraged to go forward and obtain a 4-year degree, I then studied part-time and full-time to obtain my bachelor's degree. I dealt with the practical realities of life, making decisions along the way with self-reflection and dialogue with mentors. In today's world, one has many options to reach life goals. Good on you Mary, well done. Must have been a bygone era. In Australia, I entered University at age 16 after 6 years primary school and 5 years secondary school. Others left after 3 years secondary to get apprenticeships. Competition was fierce all the way, spurring on endeavour and threatening bad consequences for laziness. Everyone expected to work at any job that was available and supported themselves with part-time work mostly. Human beings are the children of survivors who were the children of survivors who were in turn children of survivors back to hunter gatherer times. We are built for stress as they were built for stress. All humans are. This article would fit in quite nicely in a secular magazine, but rings hollow in a religious magazine, where one may be searching for guidance in the truth. It is plainly obvious what is broken in American society and within Catholicism in particular. We behave as though we do not believe in Jesus Christ and those that say they do want to package him into some kind of social leadership role. Morality and ethics are convenient names which we ascribe to our Mission or Vision Statements. The message of Jesus is simple - Love God and our Neighbor, which does not include the square footage of our home, the type of car we drive or the number of Credit cards we have in our wallet. The Love we have for God is proportional to the love we have for each other. The rest falls into place quite neatly. The Jesuits who school their students in logic must be having fits over the beginning of Ms. Kamenetz' statement: "The TRUTH is that MOST parents PROBABLY have done..." That aside, she continues that sentence with, "...something they're not proud of in order to help their precious darling(s) have an easier time in this unnecessarily cruel and competitive world." The 'precious darling' description is demeaning, and the judgement of the world in its entirety is an expose of her NPR affiliation instead of writing as an interested observer. Her list of actions to 'not be proud' of include private schooling, tutors, test prep, and living in an area with good schools. Sounds to me like good parenting to sacrifice other priorities for their children's future opportunities. It costs a quarter of a million dollars (over 4 years) to send your child to a so called Catholic university where most of that cost has nothing to do with education or Catholicism. Why aren't the Jesuits hanging their heads in shame? They are as guilty as anyone. Aren't the Jesuits the largest of the Catholic universities? This is a Jesuit publication. That is why I mentioned them. So it is anything but facile. They are leading the pack. (Also had a Jesuit education.) You wrote high tuition is a major part of the problem. I recently was involved in a discussion of Villanova (quarter of million dollar cost to get a degree). One of people involved in this, mentioned that Villanova long ago abandoned any semblance of a traditional Catholic education. We had a similar discussion on Notre Dame a year ago. Maybe it's time for Jesuit universities to be competitive by offering a Catholic education and lower tuition. That would make parents take notice. A lot less angst! Why has a college degree gotten so expensive? I doubt the students are learning more. Maybe investigate that. http://bit.ly/2uQ5m6W Also middle class is not eroding. A myth. Taxpayers and legislators walked away from their responsibility to higher education while select private colleges and universities remained preserves of the "haves" and the "have mores." Reforming college admissions, affordability, and the education experience for young people will require us to tackle these issues as citizens more than anxious parents. Thanks for the comment, Vince. I agree that this is an issue that has become so embedded in American culture that we aren't capable of seeing how skewed and systemic the problem is. And how it is ultimately a problem for all of us. nice article, I will bookmark this page. If you were born in 1940 then your parents had just lived through the Great Depression and had four years of WWII to look forward to. So it wasn't that hard to do better financially than they had done. The idea that evolution must be smooth and steady with no hiccups, no bumps in the road, no temporary setbacks seems rather naïve. I for one, would rather be born in 2021 than in 1321, or 1821, or 1921 or anything else that ends in "21". College tuitions have increased at a rate faster than anything else in American society. We should examine the impact of reduced workload (two courses, if that, for a tenured professor), increase in non-teaching staff (Assistant Associate Deans for Long Range Planning with a secretary and two analysts) and the edifice complex that is so common among college presidents and boards.